The study, published in the journal Experimental Eye Research, discovered that a group of proteins, which are linked to Alzheimer’s disease, are able to accumulate in the retina and damage it. There are two different types of AMD – ‘wet’ and ‘dry’. In wet AMD, the growth of leaky blood vessels which damage the retina can be stopped. However, this does not work for everyone, and is a way to manage rather than cure wet AMD. By contrast, dry AMD has no approved treatment as yet. Dr Arjuna Ratnayaka, a Lecturer in Vision Sciences at the University of Southampton, who led the study, said: “We know that AMD is caused by a combination of genetic, environmental and lifestyle risk factors, but this novel discovery could open up new possibilities to understand how the ageing retina becomes damaged. Such advances are important if we are to develop better AMD treatments in the future. The study, which used both cell cultures and mouse models, analysed how quickly Amyloid beta proteins, which are thought to be a likely cause of Alzheimer’s disease, entered the retina and how they damaged it. The team found that the Amyloid beta proteins entered the cells of the retina within 24 hours of exposure and then began to break the cell’s scaffold structure. Dr Ratnayaka added: “The speed in which these proteins entered the retinal cells was unexpected. 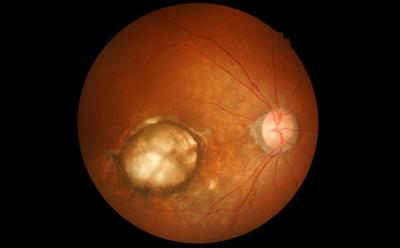 These findings have given some insights into how a normal healthy retina can switch to a diseased AMD retina. We hope that this could lead to designing better treatments for patients in the future." The research team’s next step will be to evaluate how the Amyloid beta proteins get into retinal cells and study more closely how damage occurs, with a view of establishing preventative measures or treatment options. The study was funded by the National Centre for the Replacement, Refinement and Reduction of Animals in Research (NC3R), the Macular Society UK, Fight for Sight, the Gift of Sight Appeal and the Hampshire and Isle of Wight Community Foundation.